Auctions Vs. Liquidations | Wilson Auction & Realty Co, Ltd.
Are you in the process of either closing down a business or trying to recover assets for your business by selling off some of the items that you own? You will have two options for doing it. You can either hold a liquidation sale or hold an auction. Both are effective methods for selling items, but they work in two very different ways, and it’s important for you to have an understanding of each before picking one over the other. During a liquidation sale, items will be sold over a longer period of time. 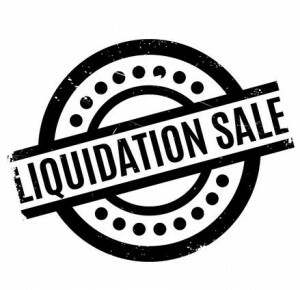 A liquidation sale is very similar to a store closing. A liquidation company will come in and help you come up with prices for your items and then sell them for you over a period of weeks, months, and in some rare cases, even years. By taking this approach, you will be able to get as much money as possible for your items since you will have more time to reel in prospective buyers. It’s an effective way of selling for those who have specialized equipment or items that might not appeal to a large group of people. During an auction, items will be sold during a much shorter window of time. Auctions take place quickly, usually within a matter of just hours or days, and it’s a great way to make money quickly rather than waiting a long time for a liquidation to end. 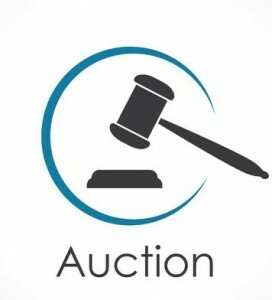 An auction company will come in and help you decide starting prices for everything you want to auction off. From there, they will also help market the auction to buyers and then host the auction. Those who choose auctions usually do so because they know the competition at an auction will help drive up the price of items. They also do it when they need the proceeds of a sale quickly. As you can see, liquidation and auctions are very different. However, when used properly, they can both be beneficial to those holding them. Regardless of which option you choose, Wilson Auction & Realty can assist you and help you bring in the money you need during your sale. For help figuring out which type of sale would be best for you or to start the process of setting up a liquidation or auction, call us at 419-636-5500 today.